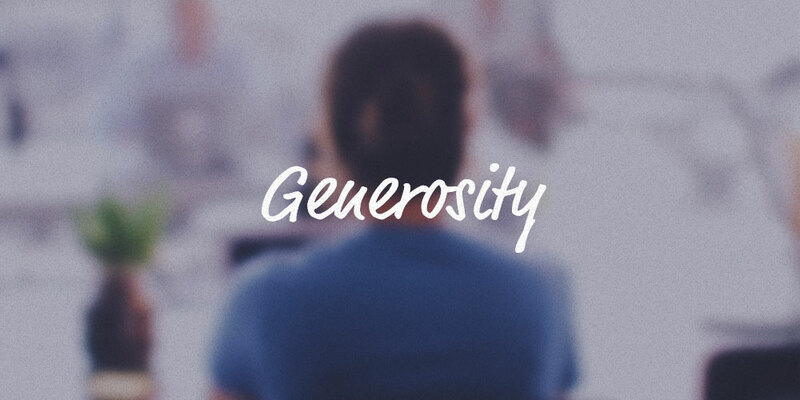 Cultivating a spirit of Generosity is the singular most important root a church family must have in order to achieve the greatest Kingdom impact. It is that God-shaped generosity that serves as a wellspring—accomplishing all that God desires through both individuals and churches. Cultivating a spirit of generosity is at the core of Renovation Church, what we are discipling people towards doing with the things God has blessed them with. We’re committed to helping our church be the most generous church our members have ever been a part of so that we can be a church that experiences the work of the Lord in a way we could have never dreamed of. Giving of our treasure is directly tied to our hearts. In Matthew 6:19-21, Jesus says, "Do not lay up for yourselves treasure on earth, where moth and rust destroy and where thieves break in and steal, but lay up for yourselves treasures in heaven, where neither moth nor rust destroys and where thieves do not break in and steal. For where your treasure is, there you heart will be also." ...Give back to God what we’ve been given. Get this—the average American gives away only 2% of their income and yet we are the nation that is most in debt. Crazy right? Our personal testimony of generosity is a beautiful picture of God’s work in our lives. That’s contrary to the culture we live in, where greed is elevated and our success and reputation are often measured by the amount of things we own, not what we give away. To lay up treasures in heaven means to give away what we have so that they can be used by God for greater things. …Relocate assets to relocate our heart. It's true that the things we pay the most money for are the things we care about most. When we are generous with what God has given us, it changes pathways in our hearts. If you send your money somewhere your heart will follow. We’ll take greater interest in that area because of our investment, become more passionate about it, and ultimately pour more resources into seeing it become a successful endeavor. Jesus knew, "where your treasure is, there your heart will be also." ..See kingdom giving as missional living. We are a blessed nation and God desires us to use our resources to grow His kingdom, to understand that when we give to kingdom work, we are living out the great commission of, “making disciples of all nations…” Owning a missional lifestyle means making margin in the every day so that we can give more abundantly with our time, talents and treasures. Prioritizing generosity with our treasures is evidence of our value in reaching God’s people. As a church we want to be generous, because when we are generous, God is placing our hearts toward the things that matter most to him. As a demonstration of our spirit of generosity at Renovation Church, we are committing 100% of our offerings on Easter Sunday to mission work in our community and around the world. Our first offering will be an overflow of the great work God is doing and will ultimately lead us in the direction God has for us. Our giving shows trust in a faithful God who always provides. May we give in ways we never imagined so that we can celebrate just as the Israelites once did, acknowledging the walls of blessings on our right, the joys of a community being renovated on our left and fixing our eyes on Jesus Christ.